All windows, the hood, and the roof of your vehicle. Just the hood and windshield. It is important that you are able to clearly see your mirrors, through your windows, and through your windshield when driving. Remove all snow, ice, or frost from all windows before you start to drive. Not put too much thought into it because all vehicles are the same. Hide from your friend that you are unfamiliar with the vehicle. Disregard any obvious defects to avoid embarrassing your friend. Take a few minutes before driving to familiarize yourself with the operation and location of all the vehicle’s equipment. When driving an unfamiliar vehicle, take a few minutes before driving to familiarize yourself with the location and operation of the turn signals, hazard warning signals, headlights and beam selector, windshield wipers and washers, brakes, gear selector, and horn. Any defects should be corrected before the vehicle is driven. Stop completely and check for pedestrians and cross traffic. Slow down without coming to a complete stop. Stop completely and wait for a green light. Slow down and check for traffic. Any eight-sided sign is a stop sign. 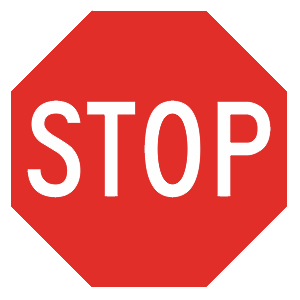 At an intersection with a stop sign, you must stop completely and check for pedestrians and cross traffic in the intersection. 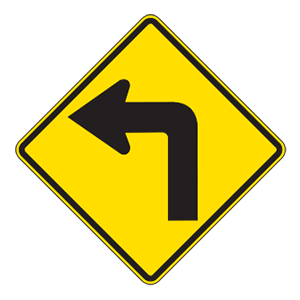 Wait for the intersection to clear before proceeding. Must be followed only when there is other traffic. Must be followed only when a police officer is present. Traffic flow is controlled by pavement markings, traffic islands, signals, and signs. These devices inform drivers of conditions on the roadway and help guide drivers safely to their destinations. You must always obey traffic signs, signals, and pavement markings. The faster you drive, the greater the potential force of impact or striking power of your vehicle. When you double the speed of a car, you increase its force of impact by four times. That the new 35 mph speed limit begins at this sign. That the new 35 mph speed limit begins at the next speed limit sign. That you have plenty of time to slow down before the reduced speed zone. That you should reduce your speed to 35 mph, but only under poor weather conditions. "Reduced speed" signs inform drivers that they must reduce their speeds. If a new speed limit is posted on one of these signs, the new speed limit begins at the sign.